With billions of people posting to social media sites on a daily basis, it is almost mind-numbing to think about the amount of information that is floating around the web. If a singer from South Korea can post a video that gets nearly 2 billion views and a few celebrities can take a selfie that literally caused Twitter to crash, one can only imagine what else is possible with social media. Social media is a constantly changing entity that is shaping the way we live in the 21st century. Everyone who has used social media has undoubtedly encountered the pound sign (#) followed by some version of unspaced text. While this may have seemed confusing at the time, this symbol or hashtag has become an important way in which the world communicates. But what is a hashtag? On social media sites, the (#) followed by text is known as a hashtag. Even with the uncanny rise of hashtags, many of us are still confused when it comes to how to use them and even more are confused when it comes to what they mean. A hashtag can be described as a label for content that helps other people find information on a specific topic. Anyone who is sharing information on a specific topic can add a hashtag to their message to associate their message with other messages of similar relevant content. Although the hashtag gained most of its fame through Twitter, other major social media sites such as Facebook, Vine, Instagram, Tumblr, Pinterest, and Google+ now incorporate hashtags. Hashtags have been ideal for following news stories and providing up-to-the-minute information about important events. In the case of natural disasters or huge stories, hashtags have become an information lifeline. Although hashtags were originally used for news stories, there has been a growing use of hashtags for business. Many major brands have incorporated the use of hashtags for business. If you are considering using hashtags for business, you should keep the following tips in mind. Make sure your hashtags are relevant to your field, which will make your brand discoverable by users searching for those keywords. Choose one specific account or set up a business account that will represent your brand. By doing so, you can ensure that users can easily find all of your relevant tweets in one location. Creating your own unique hashtag is a great way to promote your brand. The hashtag should be short but descriptive. Most importantly, make sure you remind everyone to use the hashtag in all related tweets and in all promotional material. Check out which relevant hashtags are trending and make sure you use it. Test hashtags to make sure it is being used. Using a hashtag that no one has ever used will not produce results. The best hashtags are those that people are already using and are therefor searching for. One example would be #WereHavingaSale, which only one person has used and is therefor ineffective. One great way to use hashtags for business is to hold a contest and require that users use the hashtag to enter the contest. Make sure you understand the rules of each social platform regarding contests. When businesses host conferences or meetings, you can easily find out who is there by checking the stream for the hashtag. This way you can send them a direct message and schedule a time to meet up directly. Considering that Twitter is one gargantuan open platform, using a hashtag is one way you can designate who participates in the chat. On the other hand, there is no way to know if someone is responding to your topic or simply talking about and entirely different subject. Hashtags.org is an online service that groups hashtags and gives you an idea of what other people are discussing online. By knowing what is trending, you are destined to come up with ideas. Industry experts often use hashtags for articles and relevant news for your industry. 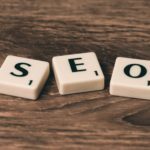 For example, a company like Ready to Run would use #SEO or #SocialMedia. Hashtags have moved well beyond just a current social media fad – transitioning to an online marketing necessity. In the coming weeks, Ready to Run will be discussing hashtags and a number of other social media marketing strategies. Hopefully, this introduction will provide some clarity on using hashtags for brand exposure online. A recent Facebook press release announced it has enabled “public conversations,” aka #hashtags, available starting June 12th. With this update, Facebook is joining other social media platforms like Twitter, Instagram, Pinterest, Google+ and Tumblr, using hashtags as a way to organize conversation and link topics from one user to the next. Hashtags used through these other social media platforms and shared through Facebook allow engagement with current followers and may reach new potential customers who are not already connected. It will also connect you to the greater conversation on the desired topic. In the press release introducing the new hashtag feature, Facebook explained that users are utilizing the new platform to talk about what’s going on around them. Whether it be a tropical storm, who might take the Stanley Cup, an episode of Game of Thrones, or a TED Talks symposium, events like these are getting millions of mentions. By making these hashtags clickable and interactive, Facebook allows users a richer experience and engagement into a topic or conversation. Facebook also clarified, on ABC News, that hashtagged posts will still respect the regular privacy settings. 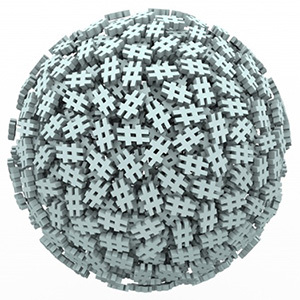 A hashtags is a term or idea preceded by the pound symbol ‘#’. The term embeds the category, so that a user can click on it to connect with other posts or images on or about that topic. 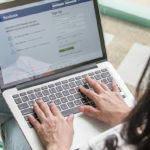 This is a major step for Facebook toward their goal of becoming more of a search friendly platform, in addition to its social networking base. You can consider social networking sites as a huge filing cabinet. It is filled with thoughts, statements, questions, and comments about different topics. Hashtags are like the tabs of the folders categorizing these different topics. So, instead of fumbling through the file cabinet aimlessly, simply search a hashtag (which is searching a specific topic) or click on an existing hashtag to automatically be directed to the search page. By doing this, you will be shown all posts using that same tag, listed in chronological order. So What Will This Mean for Your Business or Brand? Incorporate hashtags into your posts, but do not only post a hashtag or overuse them. The tag should add to your message but not be the only element of that message. Create a hashtag specific to your company that goes with your message and encourage followers and current customers to use it and create conversations around that hashtag. Incorporate topic-specific terms that reach a targeted audience which has interests related to your product or services, such as #business or #NewYork. Be sure not to over-tag. Limit your hashtags to 1 – 3 per post and be mindful of terms that others are already using and searching organically. This will help to reach a new audience that was not previously connected with or aware of your brand. When tagging terms that require multiple words, they must be written without a space between, as one word. To help readers discern each word and understand what is being written, be sure to capitalize each new word, for example #SocialMedia or #PoliticalCommunications. Hashtags allow for more brand interaction and a greater conversation because they link all similar tags in one easily searchable location. Political campaigns are all about connecting with voters on a personal level. As the traditional media landscape has shifted, new media has taken a larger role and is changing the way we communicate. Candidates who embrace social media are winning elections and connecting with their constituents on a personal level unheard of a decade ago. The first campaign to prove the value of political social media was President Obama’s in 2008. He showed how a candidate could tap into the power of social media, connect with voters on a major scale and turn the tables on traditional candidates. Used correctly, a political social media campaign can run for a fraction of the cost of a mainstream media campaign while directly connecting you to voters. 1. Share your vision. Let followers see behind the scenes. Social media is best used to entertain, educate and inform your readers. By opening up your campaign, posting photos, and giving special recognition to loyal followers, voters feel directly connected to your campaign. Your readers are not looking for white papers or press releases. They want to know who you are and what you believe. One hundred words and a picture from a fundraiser about meeting and learning something from a constituent can go farther than a 1000-word article. 2. Remember that your audience is global. Incorrect use of social media can end your political career. Just ask Anthony Weiner. Make sure your posts are upbeat and informative. Solicit feedback from your followers on policy questions. Avoid going negative. Don’t post when you are upset or angry. Make sure your campaign has a clearly developed social media strategy in place. Double-check your posts before they are sent. Understand that social media is a combination of personal contact and broadcast media. Social media can be used to immediately and decisively respond to an opponent’s misleading or incorrect statement. By responding immediately to a negative or misleading statement, any damage can be minimized. 4. Control and personalize your message to connect and engage voters. New Media Platforms offer a unique ability to convey your message and beliefs to a large audience. Candidates effectively utilizing video and other mediums to connect on a more personal and engaging level will have greater connection with voters. In the past, candidates and political parties were at the mercy of the main stream media. With new media such as YouTube and Facebook, you can control your image and the way you interact with voters. Candidates and elected officials that are active with video messages and blogs are seeing greatly improved results and, on occasion, even national attention that may have been previously unobtainable. Voters can now get their information from the source, you, instead of what is selected by traditional media outlets to report. 5. Social media is the primary way to connect with younger voters. Young voters are getting their information from the Internet. By using social media, you can reach this important voting block. Political social media should be used to engage, inform, educate and communicate with voters. For many younger voters, social media is their introduction to politics. Educating and engaging with them can build a base among younger voters. 6. Be selective and be consistent. 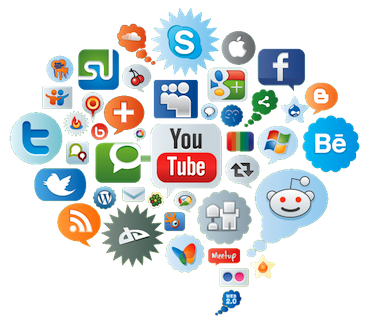 There are hundreds of social media platforms on the net. Stick to the ones that are proven and vital. Understand their target audiences. Linkedin is populated by business professionals and may be a better place to fundraiser than Flickr for example. The most important aspect of political social media is to remain active. Disappearing from a site is bad practice. Make sure you respond promptly to questions or feedback from your followers. Remember, you are building an active network that you are asking to support your efforts. Social media can transform a campaign. Understanding the dynamics, practices and etiquette of social media is a skill that can be learned. Political social media can help you to connect to voters on a personal level and that’s how to win an election. Pinterest is taking off as the fastest growing social media site and is the fourth largest traffic driver surpassing Yahoo. The site is based on the idea of “pinning”, or including visual content, on “boards” with themes. Pinterest provides its users with endless varieties of information and visually pleasing photos. Users can browse boards, “like” images, comment on them, and “re-pin” them on to their own boards. 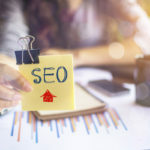 The images can link back to websites which might include content such as recipes, do-it-yourself instructional material, blogs, or business websites. Many businesses have found that the simple yet striking visual content display that Pinterest provides draws viewers and traffic to their websites, increasing interest, improving SEO and building an online community. Pinterst referrals improve marketing ROI and spend more! Actually spend about 10% more money on the purchases they make! While Pinterest strategies for business and brand marketing are vast and include many techniques, we will discuss three simple methods that are useful to new business users to improve your ability to draw new viewers to your boards and ultimately to your website and products. While an initial thought would be to start a board with images of only your product, new potential users might not search specially for this one item or category. Posting images of common or familiar situations where your product is being used can draw viewers to want more information and link to your specific website. Evergreen content such as beauty tips and how-tos consistently rate highly on the Most Repinned count in Pinterest Web Analytics. One company that is successfully using this technique is ELLE magazine – for example, their “how-to” pin on hair care drove very high page views and repins. The website wikiHow, which focuses on how-to guides, is also a successful Pinterest user. By pinning unique, high-quality items on curated boards, they were able to connect with pinners looking for instructional information on a daily basis. Holding contests on Pinterest is another way to draw visitors to your boards. Contests can take a variety of forms. For example, Pinterest members could be asked to curate boards on a specific topic, which would be judged by celebrities in a particular field or interest area. The travel site Jetsetter challenged users to develop boards on four travel themes, which were then judged by well-known media personalities. As a result of the contest, over 50,000 images were pinned in less than a month, and the Jetsetter page views were increased by 150%. Another type of pinboard contest involves members re-pinning images or posts from other social media sites on to their own Pinterest boards, or being rewarded for finding all the pieces of a puzzle or a specific number of images. Other types of contests could involve getting the highest number of re-pins or votes. Group boards are an excellent way to engage customers and drive traffic to your business. A group board functions just like a regular Pinterest board but allows other people to also pin to the board in addition to the board creator. Group boards can be shared on a small or large scale depending on the goal. Group boards go under different names but have the same general purpose. The benefits of using group boards for business are vast and diverse. The boards invite engagement and brand awareness. You will expand your network by inviting others to pin on a common theme. Pins can also be catered to specific topics that may be blog subjects, allowing bloggers to share pin each other’s content that is useful. Group boards are a great way to share contests (tip #2). Having all associated pins in one place allows users to easily navigate all similar content. It will also help your business to judge the contest without having to scour the web and hope that pins were hashtagged. You can use these boards to share your content, tips, how-tos, training materials and resources with people with similar interests. Group boards are also excellent for planning events and creating a buzz. Use the boards to share ideas, venues, marketing materials, menus and table decoration ideas, to name a few. This is also a good place to raise money for cause-related events. Additionally, designers and other creative professionals can use these boards to better connect with their client’s style and preferences. By inviting your client to share, they can pin design or decorating ideas that will ultimately cut time from evaluating an individual style or desired motif. By using pins, translating customer’s expectations becomes much more efficient. Brands should remember to keep their theme relevant to the interests of their target consumers. Stay engaged and comment on good pins. Today’s consumer loves to feel connected and listened to. Customers that have regular interaction with brands on social media are much more likely to make a purchase. As you start to use Pinterest for your business, you can read about some of the successful techniques companies have used to boost traffic to their Pinterest boards on Pinterest’s own business blog. Pinterest provides a new and rapidly growing way for your business to connect with a community of users. Developing boards based on evergreen content, holding contests and sharing group boards are three simple ways to begin to engage your audience and attract new customers. For ways to improve your business or brand’s online presence and effectiveness, contact Ready to Run Designs for a free evaluation.